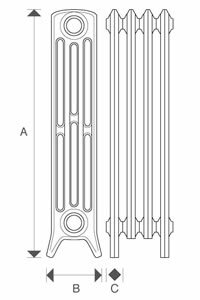 Queens 4 column Cast Iron Radiators 20 inch high or 480mm. Orders can be placed online or you are welcome to call our friendly staff on 01723 321333 who will be happy to assist you. 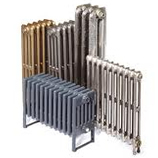 As standard, Queens Cast Iron Radiators are finished in an off-white primer, with the option to have them finished in the UK's widest range of paint, metallic or polished finishes to suit any property, be it a period building or contemporary apartment. For more information about our range of finishes scroll to the bottom of the page.